We’re just three months out from our 2019 annual conference: Controversies in Orthobiologics. For three days (February 6-9) we’ll bring together national and global experts to discuss the latest original research and controversial topics in the field of regenerative and interventional orthopedic medicine. Physicians performing interventional orthopedics or regenerative medicine procedures. Our annual conference is the premier gathering of interventional orthopedics and regenerative medicine experts. More than 400 industry leaders from across the world will gather to discuss the latest original research, controversial topics and best practices. We have physicians from several medical specialties, including PMR, Orthopedics, Sports Medicine, MSK radiology, Interventional Radiology and Anesthesia. Physicians interested in performing interventional orthopedics or regenerative medicine procedures. We teach more than 85 different precise image guided procedures in seven different body areas. With only one percent of U.S. physicians performing interventional orthopedics procedures, there is an excellent opportunity to capture market share with your practice. 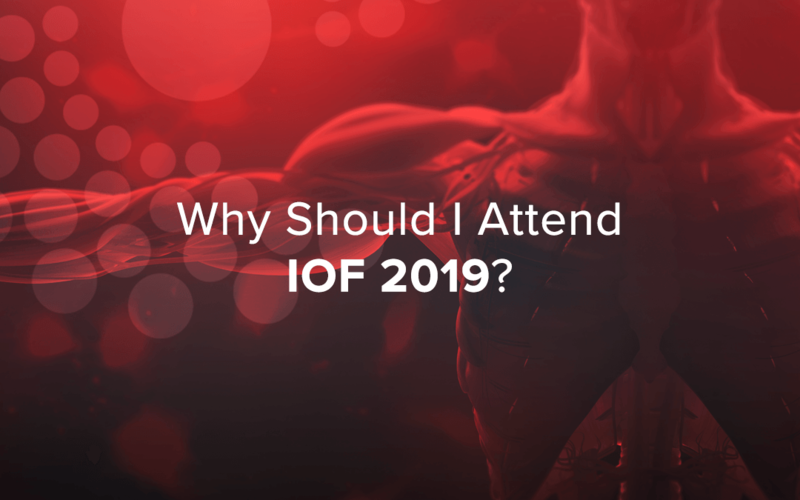 Join us at #IOF2019 to learn about the latest research and network with the experts at the forefront of the regenerative medicine movement. Be Part of the Newest Era of Interventional Orthopedics. Our field is growing at a rapid rate and opportunities abound for those practicing and interested in interventional orthopedics. IOF is leading a new era of regenerative medicine and at #IOF2019 we’ll also be ushering in the next generation of leadership for the Interventional Orthopedics Foundation. Long-time Chairman Christopher Centeno, M.D. will pass the torch to our new president, Gerard Malanga, M.D. Discover the Latest Original Research. Our conference is unique in that we offer attendees a full day of didactic lectures based on new, original research. We’re committed to ensuring that every attendee walks away with the highest quality of information. That’s why on day one of #IOF2019, we will only allow published authors to speak at the podium. You can rest assured that every speaker you will hear from is truly an expert. The second day will offer intimate fireside chats to allow you to interact with all of our speakers and get answers to your burning questions. Finally, on the third day, we offer two hands-on cadaver labs to allow you to earn CME credits and expand your expertise. Networking with experts who are committed to performing regenerative medicine procedures the right way. As the field of regenerative medicine experiences rapid growth, it’s more critical than ever that those of us in the industry reaffirm our commitment to performing procedures the right way to best serve patients. Our 2019 conference agenda is filled with interventional orthopedics experts, like the renowned Philippe Hernigou, and will offer you the opportunity to network with industry experts to learn more about their research and business models.